I have a voracious appetite for reading, and I have quite the collection of music-related books, but I'll be the first to admit that I'm not much of a fiction guy. 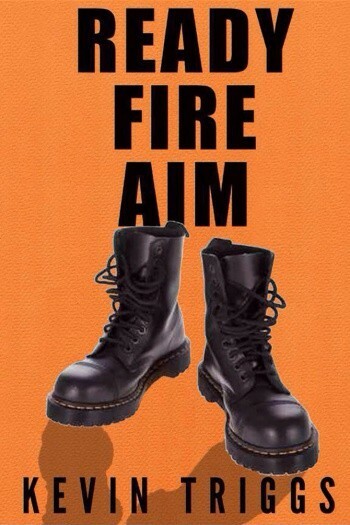 But when author Kevin Triggs reached out to me about possibly reviewing his 2015 novel, Ready Fire Aim, I knew I had to give it a shot since its description revealed that it was set in the American skinhead scene of the '90s. That's the kind of stuff I'm always up for! Ready Fire Aim centers around George Dachs, a young man from a broken home who is struggling to find his own identity and seeks it out as a member of the Brew City Skinheads, a non-racist crew in Milwaukee, during the early '90s. Triggs does a splendid job of fleshing out the main protaginst, making him relatable, despite his harsh upbringing. The author also handles the various elements of the skinhead subculture with an insider's eye. The subject matter could have easily been sensationalized, but Triggs never goes the cheap route. Now, that's not to say Ready Fire Aim doesn't have its share of skinhead violence weaved into its pages, because it surely does. But by the time that comes along in the story, Triggs' has already made you care enough about Dachs that nothing feels forced. 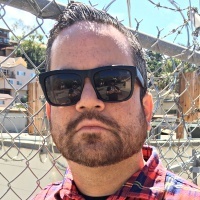 The book is peppered with Triggs' own reflections on the period Ready Fire Aim is set in, and there's many mentions of real-life bands such as Mighty Mighty Bosstones and Murphy's Law within the story. Yes, Triggs knows a lot about this stuff. In the early '90s, was a member of Milwaukee Oi! band, The Service. That kind of background gives the book an authenticity that is clear to the reader within the first few pages.